The human race still has a very long way to go when it comes to the treatment of animals. Things are changing, however, as more people are starting to realize that most beings on this planet, if not all beings, share something in common within their hearts; love, care, emotion, altruism, affection and consciousness. We are talking about living, breathing, feeling beings that are extremely intelligent. The only difference is that they take a different form than us, and use different communication techniques. We have so much to learn from animals. In the meantime, we have completely destroyed their world to support our greed. We've become completely disconnected with nature, and we will not be able to advance as a species if we continue down the same road we've been traveling. I can understand why many of them fear us, and are very hesitant to come into contact with us. At the same time, many out there recognize that there is still good on this planet. I believe this comes from situations like the video shows below, or incidents like this one, where a sick dog living in a trash pile gets rescued and shows its appreciation. Some people might be reading this and saying “duh.” On the other hand, I'm sure this video and these words will impact some in a positive way. I came across this video floating around on the internet. 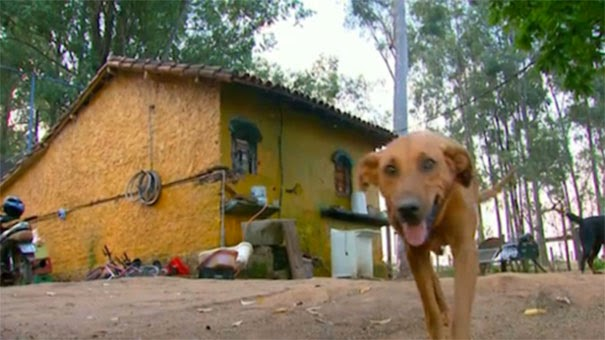 It's about a homeless dog who takes a 4 mile trip every night so she could feed her friends that were also hungry. Those of you who have a dog will not be surprised by this at all. If you enjoyed Lilica's story, please consider spreading the word to others using the buttons below.